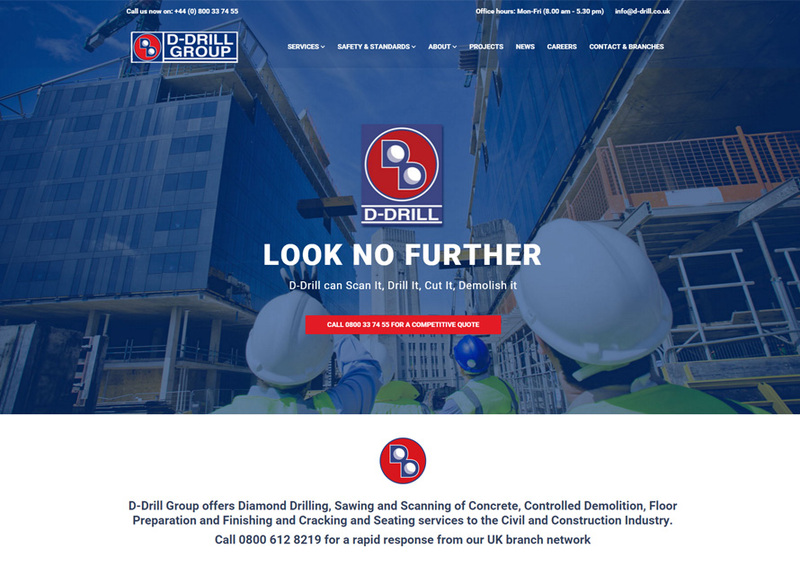 D-Drill Group began working with NGM back in February 2015 and since then it’s just not stopped. We’ve built websites for D-Kerb, D-Scan, EcoVapourClean and now the main site is going live less than 12 months after our first meeting. This is a sneak peak and the site is due to make its debut before the end of January 2016. The earlier sites were built in WordPress for budget reasons and the main site has Drupal as its content management system. 2016 looks as though it isn’t slowing down either with a new SEO campaign, new brochure, new internal communications and regular email marketing campaigns on the horizon.